"...He added that 'if you took the hours that I work and divided it into my pay,' the $174,000 salary would not seem so high." Representative Sean Duffy (R-WI) complained that he could barely pay his mortgage on this money. His complaint is confusing, given that he made about $154,000 the year before he went into congress, which means he got a pay raise. Duffy is one of the poorest congressmen. In the Senate the average net worth is $13,989,022 and in the House the average is $4,670,831. Yet its difficult for people to feel a lot of sympathy for someone making that kind of money when the average income for working Americans is about $50,000 a year, and for all Americans (including non working) around $30,000. 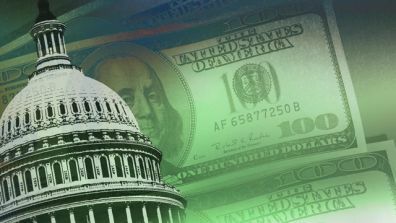 After 5 years, congressmen get full federal pension and retirement benefits. They get federal health care benefits, which while not free are very lavish. They have up to 18 staff members paid up a maximum of over $150,000 a year. They are able to mail anything for free that is not "laudatory and complimentary" to the member, or mail related to a political campaign. All telephone and communications services, internet, cell phone coverage etc is paid for. All domestic travel is free. Foreign travel for specific work-related trips is free. And their pay goes up every year based on cost of living, unless congress specifically votes to not get this automatic raise. Now, I agree that if you're a millionaire already this isn't going to look like much, but the truth is congressmen are like any rich and powerful person in that they don't really have to pay for much. Having a congressman eat at your restaurant is a big seller, and it would be difficult to turn down a free meal even if it might technically be illegal. Lobbyists have been busted over and over giving things to congressmen. Being in congress means deals and opportunities will arise for you that you cannot get any other way, and analysis of congressional investment suggests they are getting information and tips that no one else enjoys. The bottom line is that these guys are very well compensated and they want more. Even during ripe economic times and a lower debt level this is asking a bit too much but now, its almost criminal to even consider it. Congress should be going the other direction. Lower staff pay, lower their pay, cut back on benefits, and show the American people they understand seriously what needs to be done. Austerity begins at home; congress wants to move the other direction. The fact that they'd even consider bringing this up shows how unserious congress is about the debt and how out of touch they are with Americans.